Templates to allow you to implement each intelligence solution in your organization. Ability to track your progress through all of the courses and proactively see discounts you’ve earned. Stop listening to everyone telling you “why” you should care about an intelligence solution–and let us show you “how” to implement. Week nights, week ends, on a flight? No problem. All courses can be taken at anytime or any place. Our course creators are the best and brightest in the intelligence field–where they are implementing these solutions at organizations of all types. All courses are focused on implementing your own intelligence solution within your own organization. No airfaire, hotel, meals or lost time from work costs–courses available wherever you want. Intelligence solutions that you can immediately start implementing and obtaining an ROI for your organization. All intelligence solutions reflect the 5 Foundation Pillars of being strategic, unbiased, measurable, actionable, and repeatable. 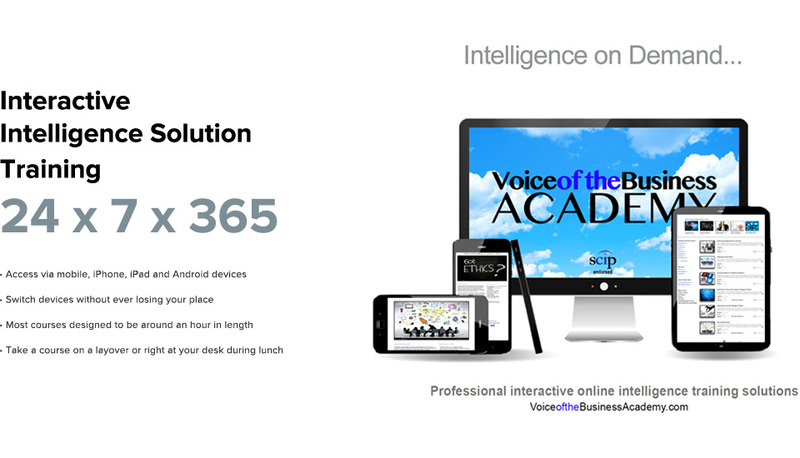 VoiceoftheBusiness is the only company to offer Intelligence Solution Provider (ISPTM) certifications. Courses created by professionals throughout the world–for businesses throughout the world. Everyone in the world has the ability to create a course and earn each time it sells globally – this is a place where the best intelligence solutions are showcased for the world to benefit. Our Course Management Team is constantly reviewing submissions and only selecting the best – this ensures that each month more courses are coming online from our course production crew. We provide one-of-a-kind interactive intelligence courses that are geared 100% towards you - whether 'you' is an organization looking to install an intelligence program internally – a professional looking to add a specific skill set – or a student looking to differentiate themselves from everyone else at your school. In addition to personal and student plans, we also offer cost-effective group plans available to everyone in your organization that plays any role in your intelligence program. We make sure you do it the right way from the onset. No more guessing what you “think” you need to implement for an intelligence solution. 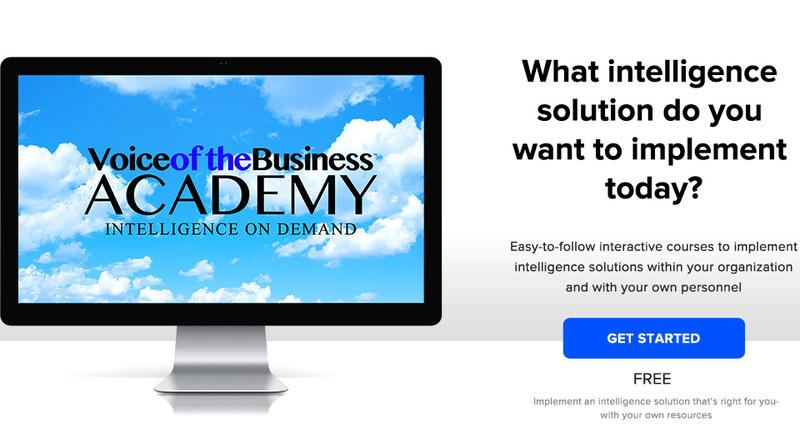 Ready to start implementing your intelligence solution?